Tired of constantly waking up during the night because you are short of breath? Do you feel uncomfortable to stay at your friend’s house over the night or to go on a camping trip? These and other similar problems can be solved thanks to the effective sleep apnea machines. A CPAP machine delivers pressurized air necessary to keep the air ways properly opened during the night. CPAP machines are especially designed to provide the sleep apnea patients better sleeping during the night, but only if the CPAP machine is used continually. 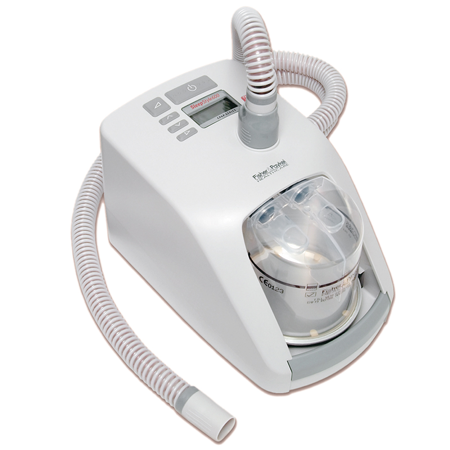 Read on to find out how important is to use sleep apnea machines continually. Patients that continuously use sleep apnea machines say that they feel lees tired and fatigue the next day. Not using the CPAP machine every night, will result in restless nights. With regular use, you will reduce the symptoms, and will sleep without waking up in the middle of the night. If you are not able to sleep tight, then you will lack the energy necessary for the next day. Thanks to the sleep apnea machines, patients are able to boost their energy level, can get enough sleep and charge the batteries for the next day. People that suffer from sleep apnea find a solution by using sleep apnea machines. These machines prevent additional health problems and provide better quality of life. The CPAP machine helps those who snore to get rid of the annoying condition and to improve the relationship with their partner. If you stop using the CPAP machine, your heart will need to work harder in order to get enough oxygen. This can cause excessive stress to your heart. Due to that, the blood pressure goes up, and you will be more prone to a stroke or other heart disease. Thus, if you keep using the CPAP machine regularly, you will reduce the risk of heart failure and high blood pressure. Regular usage of a CPAP machine eliminates depression as well. Not getting enough sleep during the night leads to anxiety and depressive thoughts. Sleep apnea machines help patients stop snoring. These machines provide pressurized air and keep the airways open, so that air can flow without problems. Since nothing obstructs the air flow, patients can breath without problems. It is determined that regular usage of a CPAP machine can prevent car accidents as well. Sleep apnea patients that don’t use a CPAP machine regularly, wake up several times during the night thus feel more tired the next day. They feel sleepy and cannot concentrate while on the road.